The Group Policy Online University helps you get smarter in Group Policy TODAY, at your own pace, and at a lower cost of traditional training. The best part is that you’re not going at it alone. With our Silver and Gold packages, you’ll have included “Mentoring time” with former Group Policy MVP Jeremy Moskowitz to help you though any rough spots. Pick a package that makes sense for you and your company right here, and we’ll get you the online access you need to get started and usually ship your package the same day. Videos available for 120 days. 1 I'm not in the USA. Do you ship overseas? Sure. We'll try. If they don't make it there, we'll refund you and just take the loss ourselves on the missing "box of stuff" we'll be sending you. We've had great success sending books out internationally, so I don't think this would be any different. 2 What happens if "what I need" isn't covered in the training course? I asked 8,000 people on GPanswers.com what they wanted to get out of a training course. And I read over EVERY SINGLE suggestion for the course material. I'm pleased to say, I hit about 95% of what people wanted in the videos and labs ALREADY; which is why I think people are so happy with the LIVE VERSION of the training. As a sanity check, though, you can also read the course outline here. Additionally, you'll be able to ask questions while you take the course and be a part of the group conference calls to get that last 5% answered if need be. So, if your particular topic IS NOT covered in the syllabus, I'll do my best to try to help you on the group conference calls within reason. 3 What's the guarantee again? Simple. Try it. If you hate the online training any reason (it's not for everyone), I'll immediately refund your card, and mail you an extra 100 bucks in a personal check (made out to YOU!) to say sorry for wasting your time. I'm just THAT sure you're going to love the experience. So, what are you waiting for? 4 Is it true? Jeremy's classes are available online? Why are you doing this? "Public locations don't seem to come near where I live. I live far from everywhere." "We have a 'no travel for training' policy at my organization." "My country doesn't seem to have enough people for you to fly here and host a class." "Budget, Budget, Budget. I wish I could tell you how to get around the budget limitation, it is a challenge we fight every day." "It's a complex subject for my boss to understand. I know I need it, but I have trouble convincing the boss I need it." "The company will only let me take training within driving distance." "Lack of time. Too much to do at work." “Travel is too onerous for me and my family. My spouse would kill me if I took a week off (even if it meant I might get a pay raise later for being smarter.)" "It's hard to get away since I'm a 'One Man Shop.' "
So, based upon that feedback, I've decided to try to work out an Online Experience very similar to what it would be like if you took a class. It's not perfect, but I positively, unequivocally guarantee that you'll learn "A Heck of a lot" or I'll refund 100% of your money. And, to say "Thanks for trying" I'll even give you a $100 Moskowitz, Inc. check if you really feel the Online University didn't work for you, and you got nothing out of the class. Really. I mean it. I bet I've got your attention now, so, let's figure out how this works for you. 5 Can I share the purchase of my class with a buddy / my whole office? Legally, you're buying ONE class licensed for ONE person. And, since this is how I feed my family, and I'm a trusting kind of guy, I'm trusting you won't be the kind of dirt ball who would consider this. If you have more than one person who needs to use the material, please do the right thing. We have "group plans" past 3 people. That is, if you have FOUR PEOPLE or MORE who need the material we will work out a "package deal" based upon your situation. But to counteract the possibility of someone being a dirt-ball and sharing this with the whole office, we have the following (low tech) anti-dirt-ball measures. Measure #1: You can't be logged on twice, watching two streams (two lessons, or the same lesson twice.) Doing so cuts off your first lesson's stream. Measure #2: Each class is broken up into multiple lessons. You are licensed to view every lesson in each class TWO TIMES before you are then unable to view the lesson anymore. Measure #3: There's a watermark in the video with YOUR NAME and YOUR COMPANY and YOUR PHONE NUMBER. So, if you share it around the office, upload it to YouTube or otherwise do something naughty, people would know you're being a dishonest dirtball. Which you would never do, because you aren't a dishonest dirtball. You might think these anti-dirtball measures might hinder your ability to learn. I'm pretty sure they won't. So, here's a common scenario: What if you're called away 30 minutes into Lesson #6? No problem. You still have one view of that same lesson left. If you feel you really need more views of the same lesson, there's a way to "raise your hand" and ask questions (next to each lesson.) Then select "Request more views of this lesson." And when we get the request, we'll just check to make sure this isn't your 8th request or something to watch the same lesson, then we'll just add more views. Make sense? To recap, though, we have plans for your whole office. If you have FOUR or more people who need to view the material, then please CALL US to get a license for each of your people. We'll work it out. 6 How exactly does this "Online experience" work? Two-Day Group Policy Essentials Class. This covers GP Essentials, Security, Software Deployment, and a lot lot more. Two-Day Group Policy 2.0 Catch-Up Class. This covers Vista, Windows Server 2008, and the Group Policy Preference Extensions. One-Day Group Policy Advanced Course. This covers how to put the “Full Smackdown” on a machine, Advanced Troubleshooting with Tools, and lot more. Click here for a downloadable PDF of the GPU Class outline. All three classes were recorded in two Portland and Atlanta Public classes. Think of this like seeing a “Concert DVD.” Okay, we know watching the DVD isn’t nearly as cool as seeing Bono live with U2 at Madison Square Garden. But you get to enjoy the music and take away a lot from the recorded show — even though you weren’t there. Later on, this page, you'll be able to purchase one, two or three GPanswers.com Classes and the "almost there" experience. You can watch all videos for 120 days from time of purchase. You get two views per lesson. If you need another lesson, no problem. You can also get (strongly recommended) the pre-configured materials to get your labs up and running fast. It’s the same stuff we use in the live class. 7 What do I get with the Online Experience? What about Labs? What about Support? So, how do you get to practice your skills? With hands-on labs, that’s how! You can hit the ground running and work with REAL Group Policy problems without pre-configured lab materials with VMware images for labs. You’ll be able to do the same lessons that students do in the LIVE courses and really ensure the skills you’ve learned are working the way you think they are. And the best part is, it’ll be like you’re in class. Additionally, while you’re working, you’ll be able to “raise your hand” and ask the questions you have — when you have them. Yes, there will be some lag time in getting an answer; but that’s the nature of home-study courses. And, again, you should feel free to ask about the class lecture (PPT), the labs, or anything else about the class. We strive to get you an answer right away. 8 What do I do next? Get started, that’s what. Click on the Order Now tab. You’ll see our three classes. Remember, each class INCLUDES PDF printouts of your slides, full hands-on labs, and the ability to get questions answered thru email and through our live Mentoring sessions. There’s really no better way to do a home study course. 9 How exactly do I sign up? What are the packages that I can choose? There are 4 classes to choose from, TRIAL, BRONZE, SILVER and GOLD packages. 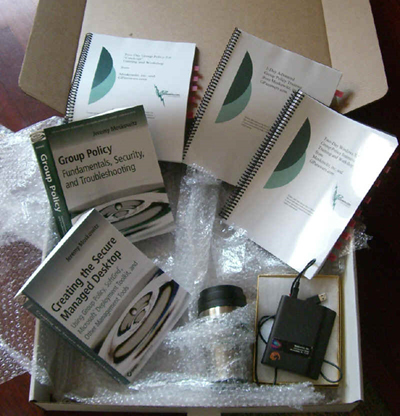 Our SILVER package comes with Two Mentoring Credits, a pre-configured hard drive and text books. You’ll be able to watch the videos for 120 days. Our GOLD package is great if you want printed manual and FIVE mentoring credits. There are more details on the Online Class page. 10 What happens after I sign up? Can/Should I start right away? When does my first day begin? Here’s what happens when you purchase: First, you’ll get an email welcome letter with a PDF attachment explaining how to log on to your “My Lessons” page. 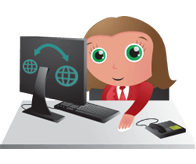 You’ll have immediate access to your online lessons. Lessons are viewable and valid from 120 days from the day you purchase. You get TWO views per lesson. So, your first day begins the day you purchase, and ends in 120 days ... which is way way waaaayy more time than you need. 11 How do I get the hands-on lab materials? In your welcome letter, you get a link to download everything. In the past, we sent out hard drives, but now everything is downloadable. 12 What do I need for my lab machine? You need a PC-based laptop pre-loaded with XP or greater. You need 4GB or more of RAM. You don’t need to “pre-create” anything before purchasing the Group Policy Online U or coming to a live class. It’s provided to you if you opted to purchase the class materials. Your machine DOES need to be 64-bit capable. There’s a little test utility you can run to ensure your laptop is 64-bit capable. It's here: http://tinyurl.com/VMware64bitcheck. There is a more information inside the Group Policy University Welcome letter with a PDF attachment called “Exactly How to Ensure Your Laptop Will be Prepared for Class.” It’s super clear, easy to follow, and even has a checklist. 13 I'm a newbie to Group Policy. Will this be over my head? I like to think of this as an "All Levels" class. I don't assume much knowledge. If you can use Active Directory users and Computers, you're ready to take the class. Some GPMC experience is helpful, but not required. I take people from 0 to 60. We've had LOTS of administrators with zero GP experience take this course and be very successful! Don't panic. If it's over your head (which it won't be) you can just ask for a refund. That's how confident I am that you'll learn what you need to in this home study course. 14 I'm very experienced in Group Policy, will this course be too basic? Maybe I should skip the Essentials class? In the class that I taped, we had 30 people. One of the guys was Doug. Now, I'm not going to give Doug's last name, but Doug asked like 30 questions. And he's been doing Group Policy, every single day, as his only job for more than 5 years for a major company. I'm confident that Doug feels he got his money's worth out of taking the whole course. He made me work HARDER during the taping though, because he made me stop and answer a bunch of hardball questions. Personally, I wouldn't skip the Essentials class -- even if I was Group Policy Ninja. And that's because you'll learn something to make you more efficient. When you go back to basics and learn best practices, only something good can come of it. If you really think I "wasted your time" by suggesting the Essentials class, then, again, take me up on my "total money back guarantee + $100 check made out to you" offer. Really! 15 I'm concerned that I might need even more support. I really, really like the idea of "Hands on Mentoring." The MM is more than just a phone call. I’ll be using LiveMeeting to do LIVE DEMONSTRATIONS of any questions you might have. Confused about the Circles and Lines in the new Group Policy Preference Extensions? We can cover that. Want to know see a different demonstration to deploy .MSI files? We can cover that. It’s “your time.” You ask me, and I’ll give it my best to try to answer it. You’ll get an email each Monday (usually) asking if you would like to make this week’s mentoring session time. Silver kits come with two MM credits and must be used within 120 days. Gold kits come with FIVE MM credits and are good for a full YEAR. 16 What's not so great about the Online Learning and Labs and Email Support Experience? Honestly, the video part (where I stand up and talk) isn’t “HD” quality. And it’s streaming over the Internet, which means it may stop for a second and pop back on every so often. However, I will say that the demonstrations of concepts came out SMASHINGLY AWESOME. You can really see what I’m talking about in each step, and you can work at your own pace and re-wind in you like. That’s really neat. The hundreds of GP University students have given me very positive feedback. But, again, here’s my 100% guarantee. If, after you buy, if you find that the quality isn’t up to your expectations and you’re not happy (and therefore you’re not learning) … well, that’s good enough for me. I’ll refund your purchase price, PLUS give you 100 bucks to say thanks for trying it out. Again, I really mean it. 17 How many times can I watch each lesson? It should be noted that you only get TWO views per lesson. Usually this is enough. Most people watch just one time. But if you wanted to also watch the lesson, perform the corresponding lab, then watch the lesson again, that is permitted too. If you need more than two views, for instance, you get called away ... that's fine. You can request more views. Just don't abuse the request system. It’s there to prevent dirtballs from sharing the videos with their friends (which you wouldn’t do; you’re not a dirtball.) See this FAQ for more details. 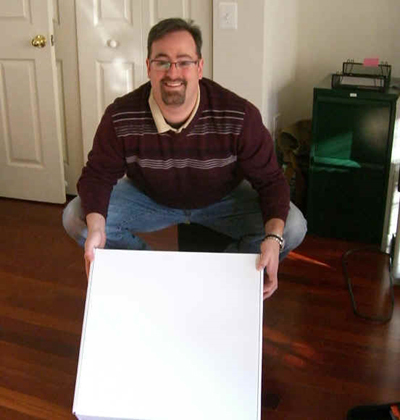 18 What's in the "big box of stuff" I'll get when I sign up for the GOLD package? 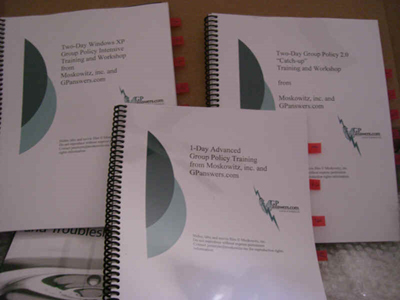 Here's a sneak preview of what's in the box: up to two Group Policy text books, up to three Group Policy University training and lab manuals, hard drive with the lessons and more! Here are some pictures! 19 I have all your books; should I still take your class? Lots of people learn in different ways: reading, hearing, seeing and doing. The book is READING. The video is HEARING and SEEING. The hands-on labs are DOING. Honestly, if you're just a book owner, I think you can only WIN by hitting the OTHER FOUR ANGLES to really SOAK IN. Additionally, the stuff in the book vs. the class is presented differently, and I have personally heard that the one-two combination of BOOK + TRAINING is the way to go. Also, if you already HAVE the books, you can "exchange the books you would get" for another mentoring session with me for no additional cost (SILVER and GOLD packages). 20 I already took the LIVE training class. Should I sign up again for the ONLINE course as a review? If you already took the class then you're eligible for a 50% (yes, 50%) discount on the SAME home study course. My feeling is this: you already have the printed labs and slides and hard drive materials. So, I won't be sending you those. You'll be able to watch the videos, re-do the labs, ask questions via the ticketing system and participate in the group calls. To take advantage of this offer, you'll need to CALL MY ASSISTANT (302-351-4903) and explain which class you took and what company you're from. You'll get a 50% discount code for checkout. Note: WinConnections, TechMentor, TechEd, MMS, T2 or other CONFERENCES do not count toward the discount. You need to have taken a LIVE PUBLIC or PRIVATE Two-Day, Three-Day, or Five-Day course with me or James Conrad to qualify for the 50% discount for the "review." Group Policy Online University is well worth the money. How many times have you attended a week long class to only retain a portion of the information presented? Not so with Jeremy’s online training, I was able to break it down into small portions and then go practice. This allowed me to retain much more information. Finally, I was at my desk and could work in my own environment. I made huge strides in my understanding of Group Policy with this online training. Great content Jeremy! I knew a little about Group Policy before I started the class, but the Group Policy Online University opened my eyes to a whole new world. I never knew how much control this built-in feature gave me. I really did enjoy the course. It allowed me to go from virtually zero knowledge of group policy to having a firm understanding of the core of the system. It also allowed me to quickly leverage things I already knew how to do within the system. I definitely would recommend it to others. I went in to the group policy training with a basic knowledge of group policy. The college I work for had a real need for group policy for software deployments, printer mapping, drive mapping as well as other needs. We found enough information about how to get these group policies created and deployed but when they did not work we ran into brick walls. After the five days of watching the videos of Jeremy I had a very good understanding of all aspects of group policy. The knowledge you get from these courses goes beyond how to make GPOs but also how the entire process works. You get troubleshooting experience and he ever tells you what tools you can use depending on the issues. This knowledge was very useful from day one when I got back to work. Also the knowledge of the order of precedence helped me a lot understand how the settings are applied and why some settings were not making in down to the client. The “green” book is a group policy bible. It never leaves my desk. If you feel you could use more knowledge of group policy then take this course. The content is top notch and the presentation is first rate. Thanks for all the knowledge! For those who invest in their career but don’t have the time and money to go to a class during working hours, the GP University is an excellent alternative and allows you to learn at any time you want. Actually I felt like sitting in a class myself. I work for a public school district in Texas and needed to control student user environments through group policies. I specifically ordered and took Jeremy’s GPanswers.com on-line course to solve the problem of matching student environments when they logged on to new Win 7 computers and the older Win XP computers. Jeremy’s GPanswers.com on-line course made that happen along with a world of other group policy applications that have made my life so much easier. Thanks for the knowledge. The video classes were very good, and I got a lot out of the printed materials and labs. Jeremy is an excellent instructor and explained GP topics well.